The Essence of Leadership is book three in this image driven, inspirational, motivational series. In Mac's first two books, the focus was on what it takes to obtain true success in life and how to achieve the right kind of attitude. Both previous books used inspirational stories and described the importance of how to achieve personal progress through character traits and godly living-all of this reinforced by the power of inspiring and striking imagery. 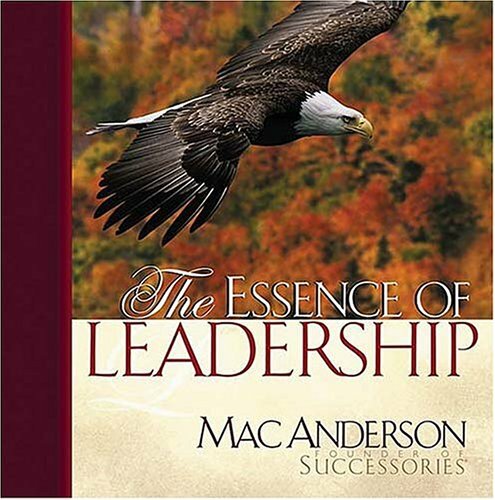 In The Essence of Leadership, Mac takes a similar approach to direct readers to achieve personal success through integrity, ethics, loyalty, persistence, faith matters, and many more character traits that form the leader within a person.